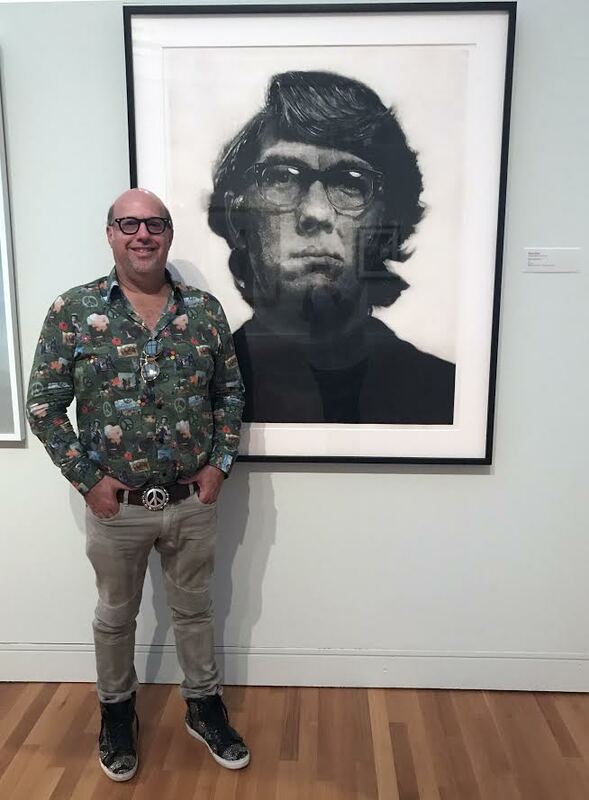 Steve Hartman, President of Fine Art Dealers Association's Board of Directors and owner of Contessa Gallery, loaned "Keith/Mezzotint," one of Chuck Close’s most pivotal works, to University of Michigan’s 2017 Bicentennial, Victors for Art: Michigan’s Alumni Collectors celebrates the deep impact of Michigan alumni on the global art world. Cleveland, Ohio - June 5, 2017 - Commemorating the University of Michigan’s 2017 Bicentennial, Victors for Art: Michigan’s Alumni Collectors celebrates the deep impact of Michigan alumni on the global art world. This exhibition features works collected by a diverse group of alumni and the artworks themselves span 3,500 years of art making-, from ancient sculptures to multimedia works by emerging artists. Victors for Art offers visitors an unprecedented opportunity to view art that may have never been publicly displayed otherwise—and most certainly, not together. Keith / Mezzotint, Close’s first print after graduating from Yale, heralded the larger-than-life ambitions of a young artist. It was with this print that Close decided that he preferred to leave his grid guide visible in his works. When approached in 1972 to work on the project, master printer Kathan Brown expressed skepticism: “The largest print we had done up to then was 22 x 30 inches... so of course I said it was impossible. Besides, who ever heard of an etching three by four feet!” While lithographs and screenprints had expanded in size in the late sixties, intaglio printmaking (engraving, drypoint, etching, aquatint, and mezzotint) retained its “intimate” appeal. A mezzotint is made by scoring a copper plate with countless, minuscule pits, which, when inked, print as a uniform dark ground. The artist works from dark to light, burnishing and polishing the ground so that a lighter image emerges from the dark. 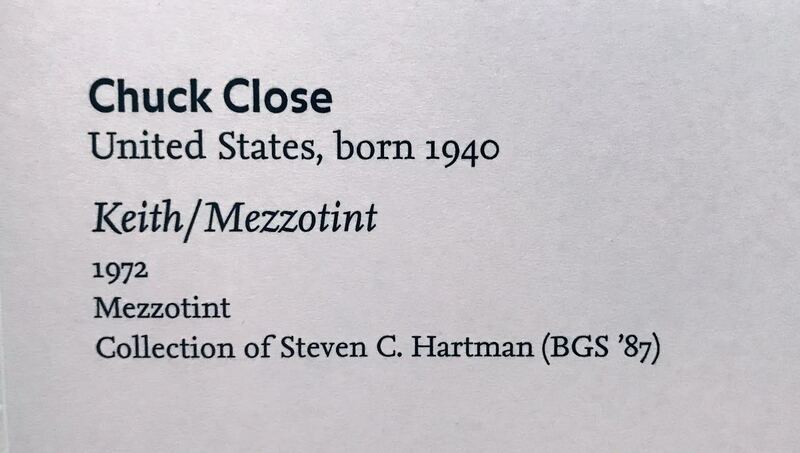 The fact that Close, a novice, could master this exacting technique on first try is astonishing yet does not account for the work’s status. To adopt an outmoded technique—one fashionable in the mid-eighteenth to mid- nineteenth century—seemed perversely radical in 1972. To upend the historical tradition by making the image larger-than-life remains powerfully compelling to the present. 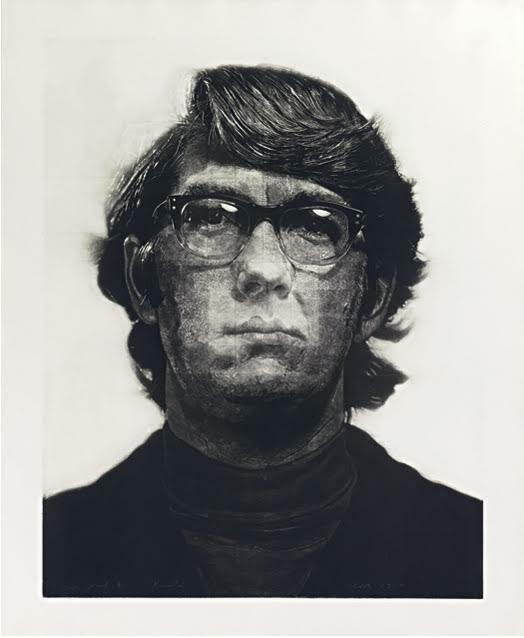 In a recent interview, Chuck Close spoke about Keith as a pivotal work, noting its visible grid: “The individual grid units stayed as discrete areas ... After finishing Keith, I started doing dot drawings and other pieces in which the incremental unit was visible and ultimately celebrated in a million different ways. 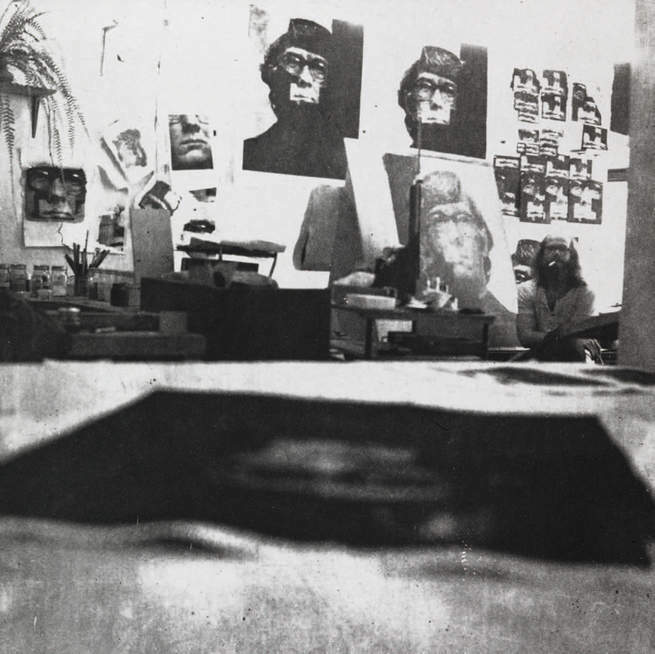 That all came from making this print.” Keith / Mezzotint, 1972 can be seen in the Alfred Taubman Gallery. Victors for Art offers an unprecedented opportunity to view art that may have never been publicly displayed otherwise—and most certainly, not all together. For visitors, and especially for future Michigan alumni, Victors for Art illuminates the shared passion for art fostered by the Michigan experience. Tuesday through Saturday 11 a.m.–5 p.m.
Support for Victors for Art: Michigan's Alumni Collectors is provided by Contessa Gallery, the University of Michigan Office of the Provost, Michigan Medicine, the University of Michigan Office of the President, the Michigan Council for Arts and Cultural Affairs and the National Endowment for the Arts, University of Michigan alumni, and the University of Michigan Bicentennial Office.